Oh, I miss my friends at work. I miss hanging out together and sharing hearty laugh over coffee and cinnamon buns. 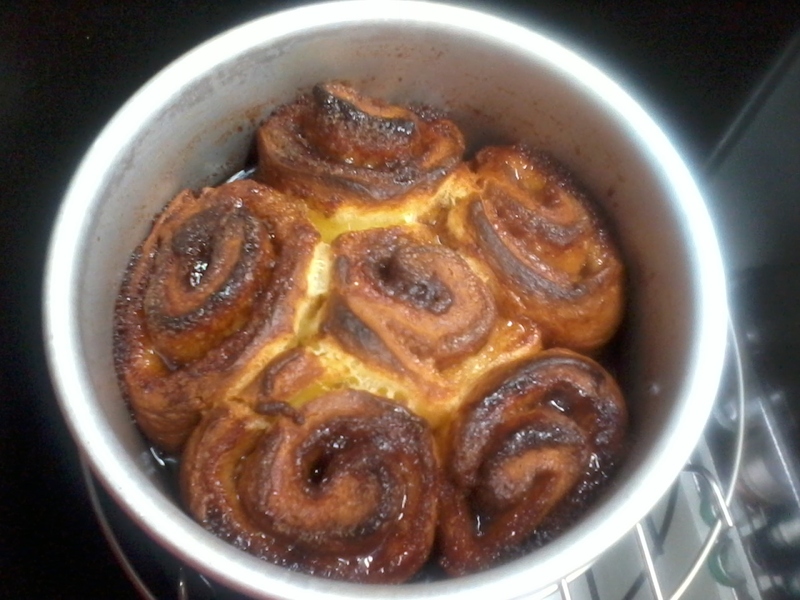 Since I have a little time to spare before I hit the oven again with orders for next week, why not try my hand at making amazingly yummy cinnamon buns. 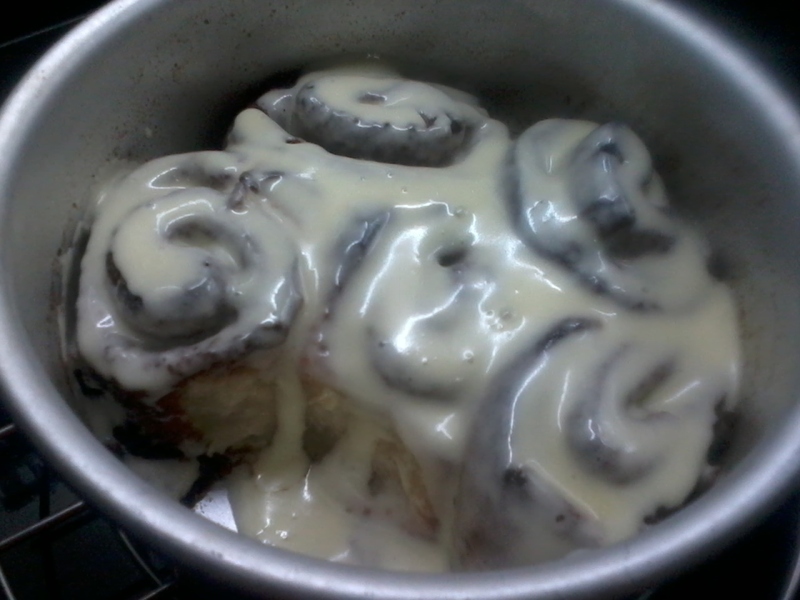 I don't know how it differs from the Sticky Bun I saw on Food Network but I want it to be as ooey, gooey and buttery as that. 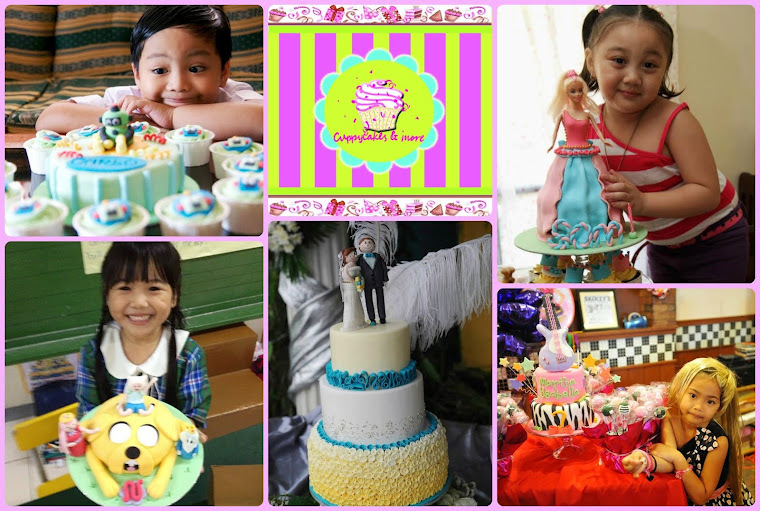 Forgive me for the pictures, they may not look enticing but they are seriously delish. In fact, I totally forgot to take enough pictures in my excitement to get it out of the pan and straight to my stomach. 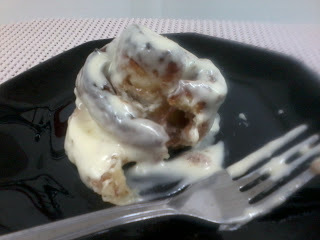 This is my first attempt and am hoping the taste comes close to the Cinnabon version as possible. I never realized how fast and easy they are to make. Prepared all the ingredients needed for the filling, dough, and glaze. 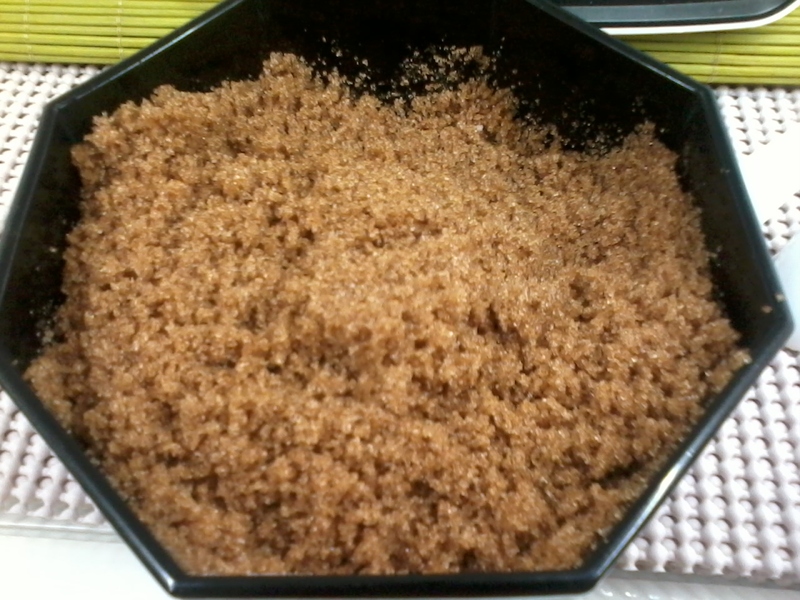 I used packed brown sugar, white sugar, cinnamon powder, and a dash of salt. Combined them all together in one bowl. And just added the melted butter to the dry ingredients, stirred till it looked like wet sand. 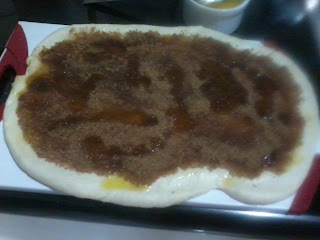 To make the dough, I simply combined all the dry ingredients ( to save from washing too many bowls...hahaha ). Buttermilk is something I don't have on hand. It sure is hard to find at the supermarket too. Simply mix one teaspoon of lemon juice or white vinegar ( I used Heinz distilled white vinegar ) to a cup of milk, stir and let stand for 10-15 minutes. In this case, I used only 1/2 cup of buttermilk. 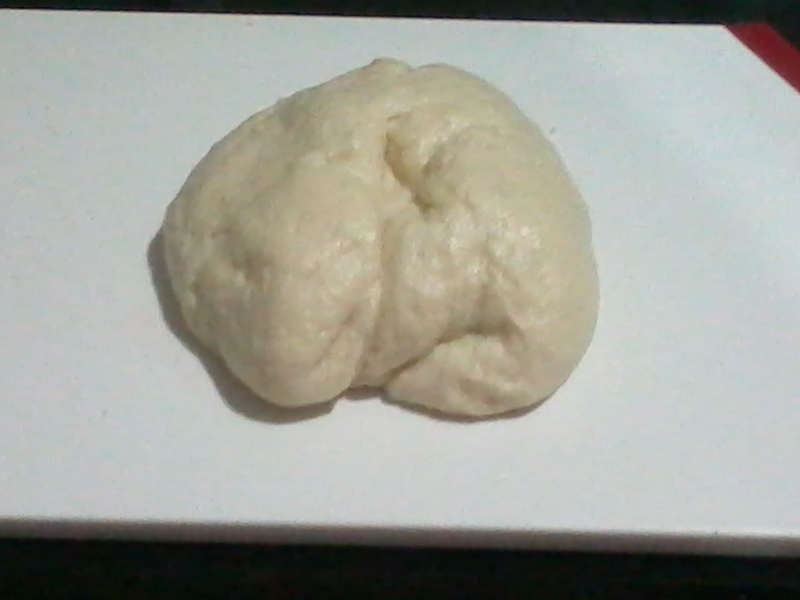 Knead dough on a floured surface until smooth and free from lumps. 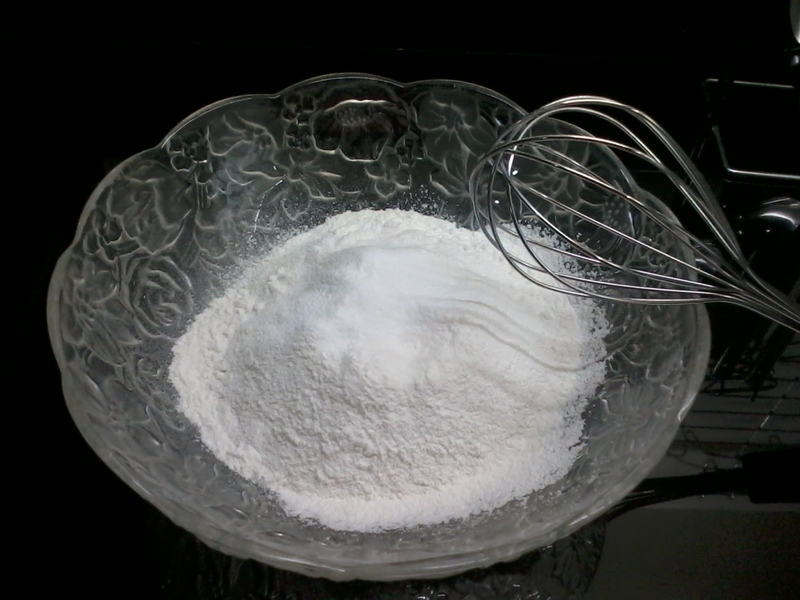 Place dough in lightly floured bowl. Cover and chill in the refrigerator for 20-30 minutes. At this point, preheat oven to 220 C and butter pan ( used my 6" pan ) generously. Flatten to a rectangle and pour melted butter and the prepared filling over the dough. 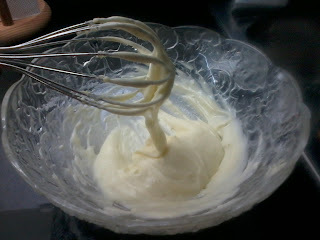 Uhmm, I got butter happy and poured some more.=) I said buttery, remember? Roll dough ( pressing the sides ) into a log and cut into six even pieces. Place in buttered pan and bake for 25 minutes. Glaze with mixture of butter, syrup, milk and confectioners sugar. Yup, I hand whisked everything. Go ahead and use your mixer. Let sit for 5 minutes then go ahead and pour glaze all over. Make the filling by combining all the ingredients together. 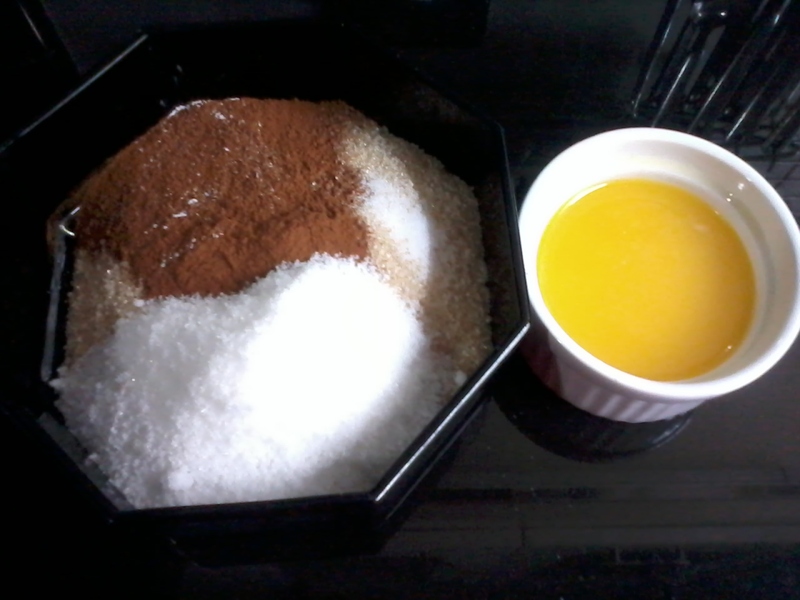 Stir in the melted butter till its like a wet sand in consistency. Prepare the dough by mixing all dry ingredients, pour the buttermilk, syrup and the melted butter. Stir until combined. Flour a small surface where you will knead your dough. It will be soft and sticky but will come together after kneading. If its already smooth and free from any lump, place in a lightly floured bowl, cover and chill for 25 minutes. 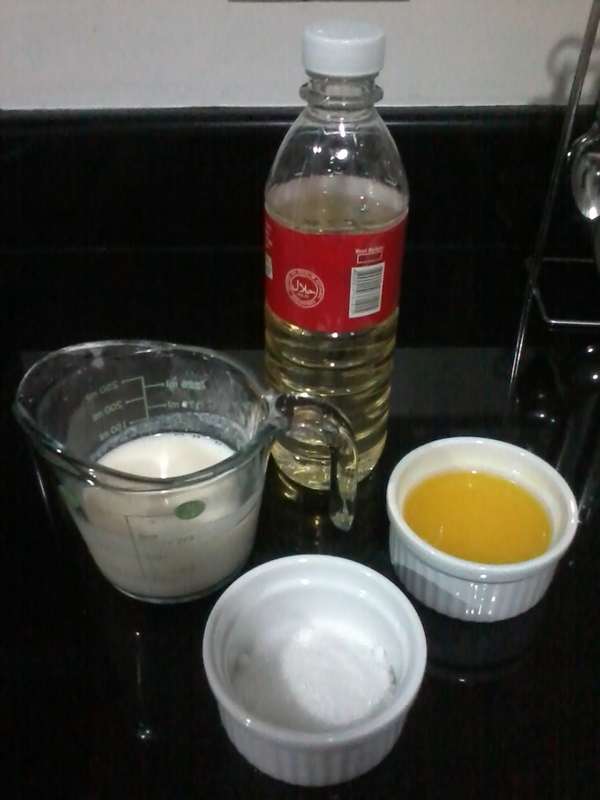 Preheat your oven to 220 C. Pour melted butter to the pan you will be using. Get your dough and spread into a rectangle shape. Pour the melted butter and the filling on top. Press filling down to pack it in. Roll into a log making sure you press the ends or tuck the ends in as you go along. Cut into 6 even pieces. Place in the pan and bake for 25 minutes. Let cool for 5 minutes and pour the glaze on top. You can try putting in pecans or raisins. This was on a whim so I had to bake using whatever is in my pantry. Husband gave it an 8 out of 10. For me, -- , that's how close they could get to the real thing. All in all, they were downright incredible. I tried your recipe and the buns were amazing! I like that the recipe was just enough for a family of 3 but the next time around, I'm doubling. Gone so fast. Thank you!